Zondag werd in de showroom van Crown Automotive op Ser’i Domi de aftrap gegeven voor het project Nos Ta Konektá. Ongeveer 35 kinderen en hun ouders waren aanwezig. Nos ta Konektá is een project waarbij jongeren die geen toegang tot de digitale wereld hebben, een jaar lang een laptop, wifi en lessen krijgen. Er doen in totaal 55 kinderen mee. In dit project werkt de organisatie van Nos Ta Konektá samen met het buurtcomité van Ser’i Domi en met de sector Familie en Jeugd van het ministerie van SOAW. SOAW geeft middels het ‘Triple P’ programma ondersteuning aan de ouders terwijl Nos Ta Konektá zich op de kinderen richt. Tijdens de opening drukte minister Koeiman van SOAW de kinderen en de ouders op het hart hoe bevoorrecht zij zijn om aan dit project mee te kunnen doen. “Als je een kans krijgt, grijp die dan, zodat je kan groeien en ontwikkelen”. Dhr. Bentley Leonora van Fundashon Kòrsou Habrí spoorde de kinderen aan om vooral door te zetten en niet op te geven. Mevr. Peggy Grootens gaf een presentatie over Triple P: een methode waarin ouders een positieve opvoedstijl aanleren. Triple P wordt door SOAW in verschillende projecten met succes ingezet. Nos Ta Konektá in combinatie met Triple P is een voorbeeld van integrale wijkaanpak. Sponsors van Nos Ta Konektá zijn onder andere: Tom’s Planner, De Centrale Bank van Curaçao en St. Maarten, en Stichting Johannes Bosco. 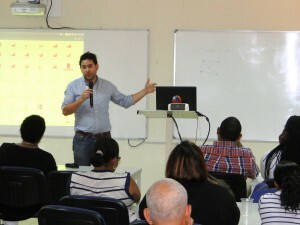 Last Saturday, the new version of the open source spell checker for Papiamentu was launched. This happened during a well-attended conference in the ICUC the Brionplein. The Foundation Curaçao Open, who released the spellchecker in 2011, has used funding from the UNESCO Participation Programme, to update the spellchecker and to make a promotional video that will be shown on TV in the coming weeks. The importance of a spell checker that works on the Internet, is that it works while writing emails, and discussions on Facebook. The spellchecker works in the Internet browser ‘Firefox’, which is also free and open source. Besides the release of the open source spellchecker, a ‘locale’ for open source programs was presented. This locale describes digital characteristics of a language. Did you ever notice that the date format on a Dutch version of your favorite spreadsheet program, is very different from an English / American version? Precisely, this is because both languages ​​have their own ‘locale’ that establishes this. Papiamentu has a locale since Saturday, October 31st and the next few months it will be integrated as much open source software as possible. A third innovation concerns the ‘banko di palabra’, a website for words. This site allows you to search for words that exist in the Golden Booklet, but also to add words. The new words can be voted on and the intention is that in this “open” way, through crowdsourcing, an official commission regularly will be adding new words to the spell checker. 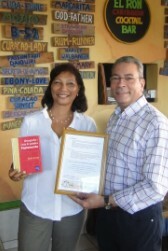 In April 2013, Mrs. Michele Marius visited Open Curaçao to conduct a survey about Open Standards, Open Data and Open Source in the Caribbean for UNESCO. From left to right: Mrs. Michele Marius (for UNESCO), Mrs. Elly Hellings (secretary), Mr. Henk Lubbers (treasurer), and Mrs. Marta Dijkhoff (president). Not in photo: Mr. Urso Wieske (member of the board). Papiamentu Spellcheck for Firefox (What is Firefox?) can be found here. Papiamentu Spellcheck for Thunderbird (What is Thunderbird?) can be found here. Thanks to Manuel Ortega for making those available. UPDATE! Thanks to Manuel Ortega, a spellchecker for Papiamento (Aruba, pap_AW) is available! For LibreOffice (What is LibreOffice?) you can download the spell checker based on the official word list here. Interested in the official wordlist, created bij FPI? Just click here. What is this OPEN SOURCE you speak of? Is it FREE SOFTWARE? Foundation Curacao Open (Fundashon Kòrsou Habrí) is happy to announce that the language institute FPI released the ‘list of words in papiamentu‘ under a CC BY-NC-SA 3.0 license since Sept. 16, 2011. That’s quite a step forward for our beautiful island. 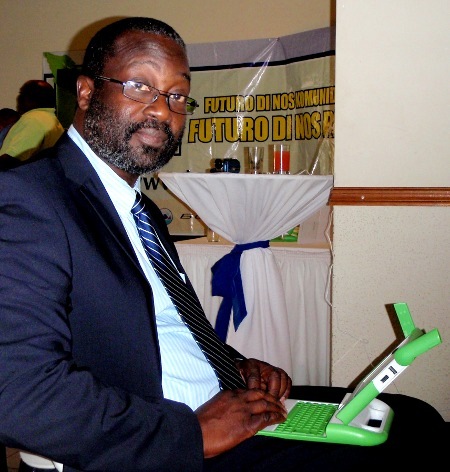 Foundation Curacao Open released a spellchecker for Open/LibreOffice on Software Freedom Day, Sept. 17th, 2011. You can download the spell checker based on the official word list here. 3. Click ‘Add…’ and then navigate to the file you saved in step 1. 6. Make a new document. After the presentations, the speakers formed a panel discussion, chaired by Prof. Jeanne de Bruijn. During the kick-off meeting various presentations where held, by Monique Raphaela (Introduction to OLPC), Ricardo Lochan (The future of laptops), Percy Pinedo (The future of education), Harry Hoeve (Integraging ICT into Education) and Ace Suares (Teach the teacher training). Most importantly, teachers and staff from the Reina Beatrix College in Bonaire and the Prins Bernhard School in Curacao expressed their intentions to use the laptops in the classroom. 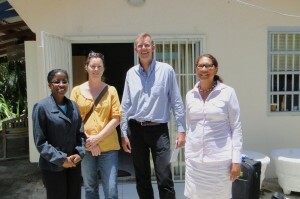 The Oranje School in St. Maarten, who couldn’t attend the meeting, also has high expectations of the project. The pilot project is financed by Bureau Telecommunicatie en Post, and sponsored by Postspaarbank and Nieuwe Post NV. DEZ, Suares & Co and Stimul-IT also invested in the project. 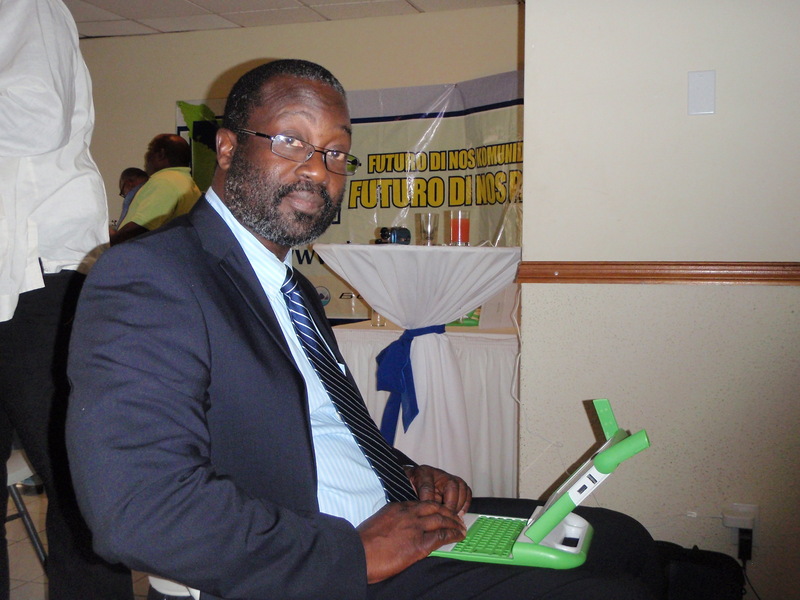 The “One Laptop per Child” pilot project is a project of Kennisplatform Curacao. For more info: info@stimul-it.com of www.stimul-it.com, +5999 738 6299. 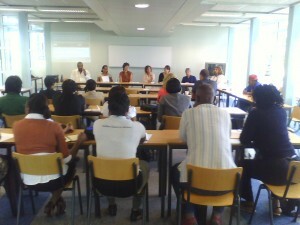 During the kick-off meeting, three short videos where presented, showing parts of the teach-the-teacher trainings.